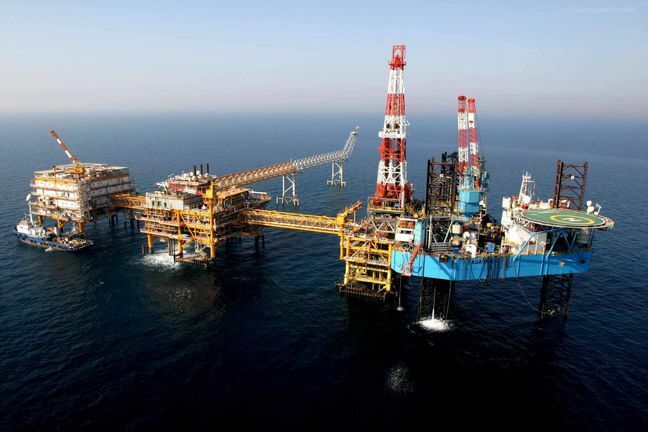 EghtesadOnline: Operations to develop South Pars Gas Field's Phase 11 in the Persian Gulf are moving forward despite Total abandoning the venture, the deputy for development and engineering at the National Iranian Oil Company said. Dismissing claims of halting the project, Gholamreza Manouchehri added that construction procedures are on fast track and the results of design and manufacture tenders [to implement the project] will be announced as planned," ISNA reported on Tuesday. France’s Total SA dropped plans for South Pars Phase 11, a gas development project to supply gas within Iran following US President Donald Trump’s May 8 announcement that the US will withdraw from the historic 2015 nuclear deal and reinstate sanctions. "Under the terms of agreement, Total's 50.1% stake from the mega project could be handed to its Chinese partner CNPC," Financial Tribune quoted Manouchehri as saying. In July 2016, Iran signed a deal with a consortium of companies comprising France’s Total, CNPC and Iran’s Petropars for the development of Phase 11. CNPC has a 30% stake, while the remaining 19.9% is held by Iran's state-owned Petropars. Manouchehri noted that in case plans do not work with CNPC, Petropars could be assigned with the project. Oil Minister Bijan Namdar Zanganeh had earlier said that most of the works for Phase 11 are planned to be handed over to local firms. Manouchehri said financial concerns did not allow us to hand over the project to Petropars from the very beginning, hence financial backing for the venture's current and next phases is needed. The offshore venture will be developed in two phases. The first phase, at an estimated cost of $2 billion, will consist of 30 wells and two wellhead platforms connected to onshore treatment facilities by two subsea pipelines. "The second phase will commence in three to four years," he added. Total has spent $90 million to help develop the offshore field's Phase 11 and will not be compensated before production begins. Manouchehri added, "In case CNPC takes over Total's stake, the latter's expenditure on the project will be paid by the first." Designed to produce 56 million cubic meters of natural gas per day, SP Phase 11 is expected to come on stream by early 2021. According to Manouchehri, the offshore development scheme for Phase 14 is moving ahead of plans and the phase's first production line has become operational. "The phase's gas production currently stands at 500 million cubic feet, which will reach 1 billion cubic meters in three months," he said. The phase is slated to produce 56 million cubic meters of gas and 75,000 barrels of gas condensates per year to meet domestic gas demand and supply feedstock to petrochemical units. The phase is also expected to annually produce more than 1 million tons of gas condensates, 1 million tons of ethane for petrochemical units and 400 tons of sulfur. Valued at $5.25 billion, the phase's development contract was signed between the National Iranian Oil Company and a consortium headed by the Industrial Development and Renovation Organization of Iran. South Pars is divided into 24 standard phases. Most of the phases are fully operational at present.